It was humiliating. There I was, newly married and spending our first Christmas with my husband's family. I wanted to make a good impression. 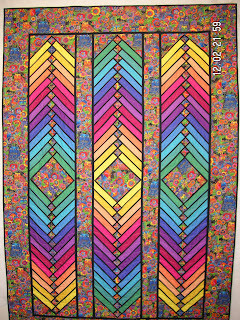 So imagine my horror as, with all my in-laws watching, I opened a large package from my mother and pulled out the ugliest quilt you ever saw. My embarrasment deepened as everyone insisted that I open it up to its full size. 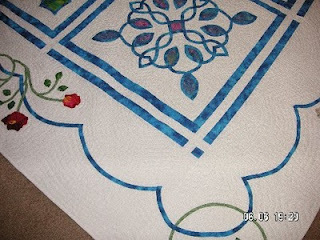 The sashing and border fabric was a garish bright turquoise. 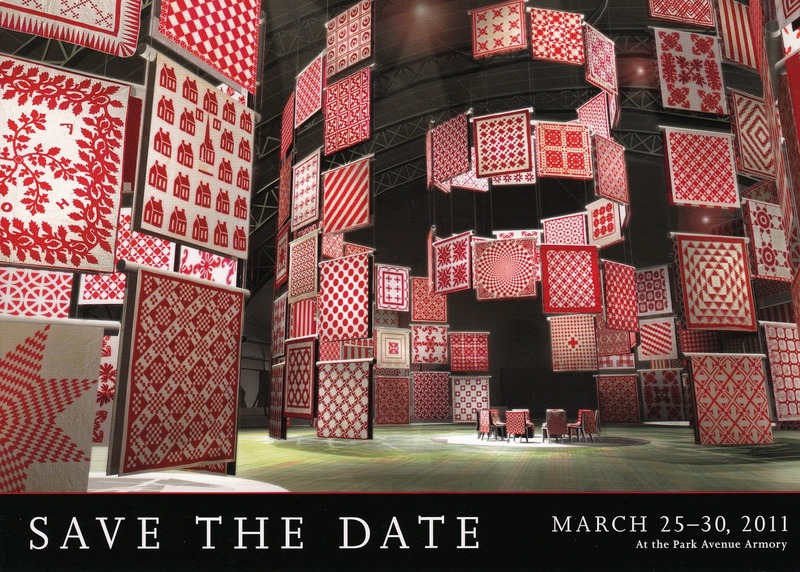 The patchwork was every color under the sun. The backing was a fuchsia that even overpowered the turquoise. 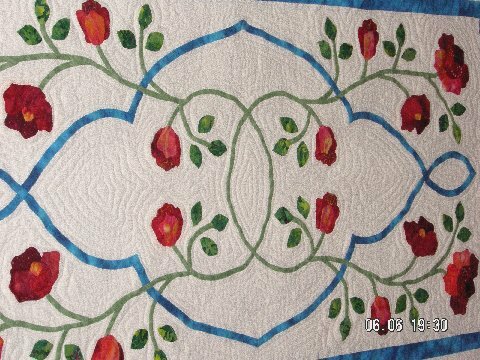 Mother didn't know the first thng about making a quilt. And it showed. It was awful. 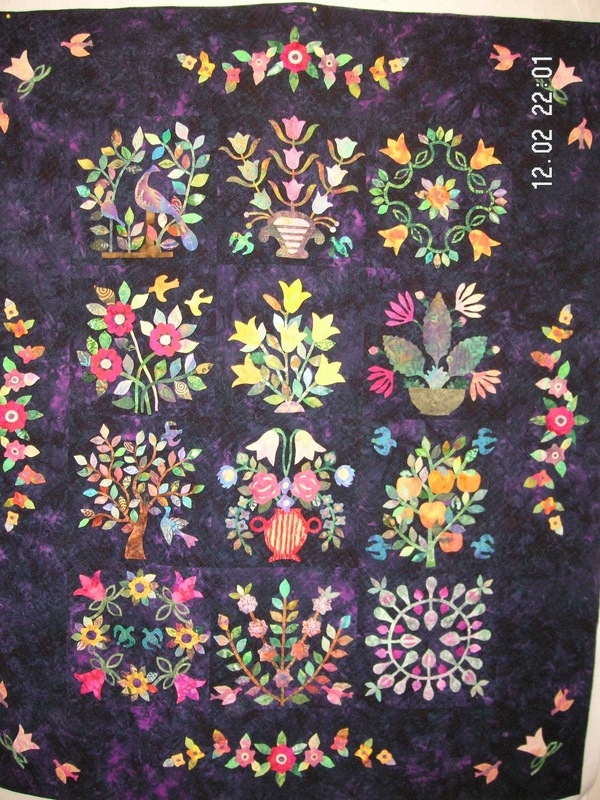 But her quilt was made with love, so it became part of our family life. 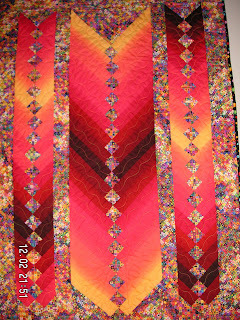 In time, "Grandma's Quilt" put in yeoman's service. It travelled on family car trips and to many a picnic. It made a great fort when draped over some chairs. It was machine washed more times than I can count. 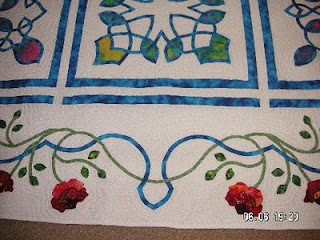 And that ugly quilt had a magic that defies explanation. 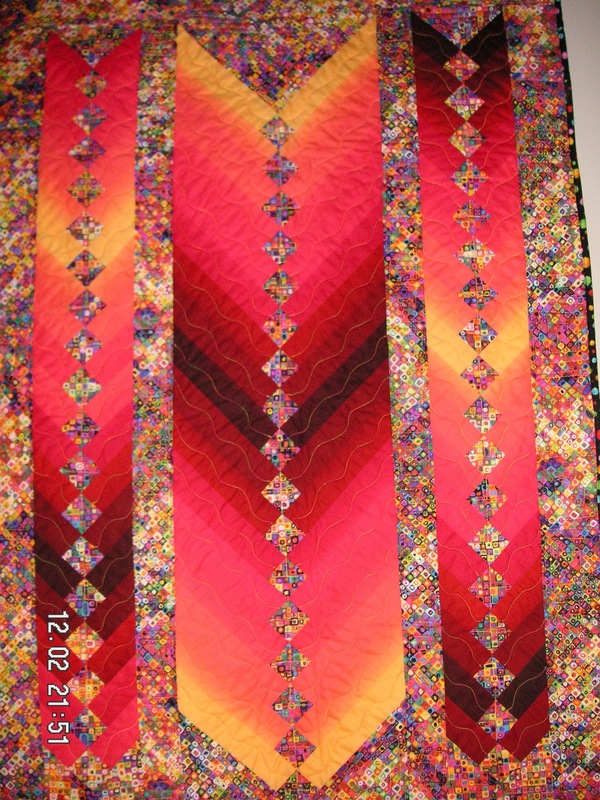 When a child was sick, Grandma's quilty was part of the cure. When it was wrapped around you, you automatically felt better. It was also a great comfort when the world wasn't a nice place. The quilt is in shreds now -- whenever we use it, pieces fall on the floor. Someday there will be nothing of it left. For now, however, even though my children are grown, it still has magic powers. I can't remember if I ever told my mother how great was her gift to us. Everyone should purchase this book. 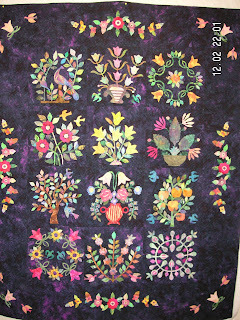 It has patterns and several little stories about quilting, it will delight your quilting soul. 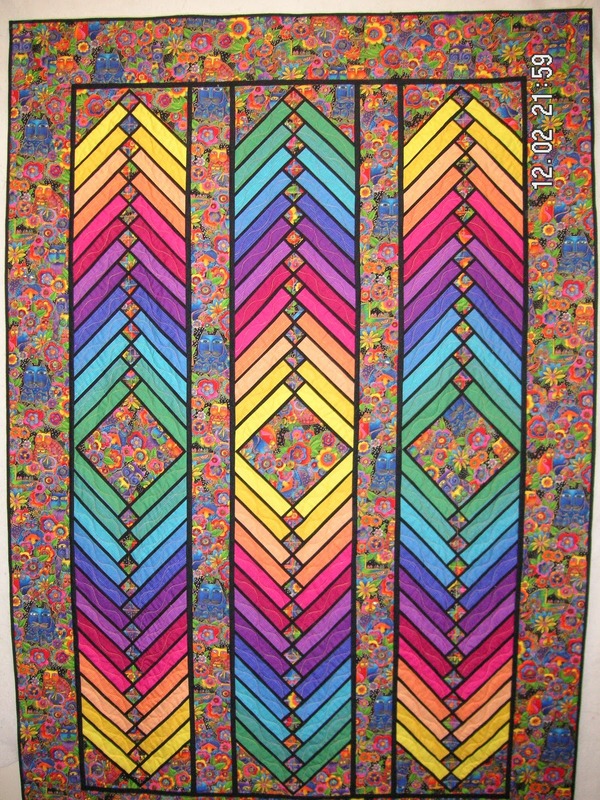 still one of my favorite quilts. all needleturn applique and hand quilted. I am pleased with it tho. when she passed away I received a "sack" with "stuff"
I looked at the square and said "hey, I can do that"